Registered nurse schools in North Dakota offer a strong foundation for lifelong learners who exhibit skill, knowledge, flexibility, and critical thinking. They create such environment that boosts up learning. Best practices are utilized to train the students. You are familiarized with the most current technologies being used to provide excellent patient care. Advanced program courses like MSN and doctorate degree in nursing prepare you to attain management and leadership roles. The candidate should not be less than eighteen years old. Exceptional written and verbal communication in the English language is compulsory. Without a high school diploma, you can’t enroll in RN program. Students are expected to undergo the drug test and criminal background check. A valid photo ID and address proof should be submitted along with the application. The institute in which you want to register may require you to clear TEAS (Test of Essential Academic Skills). One ought to submit all the necessary documents as required by the specific college. These programs will lead you towards a successful nursing career. Associate Degree in Nursing: ADN program is structured to furnish you with the skills and expertise required to become an accountable and competent nurse. This degree covers courses in anatomy, chemistry, microbiology, nutrition, liberal arts, etc. Apart from these courses, it incorporates clinical experiences in various settings, patient care simulation, and detailed theory. Bachelor of Science in Nursing: This is a four-year program that prepares candidates for the opportunities and challenges of today’s complex nursing sector. This comprehensive curriculum builds a strong foundation which includes the supervised practise program at various hospitals. Accelerated BSN Degree: It is a full-time program of 12 to 15 months which is formulated uniquely for students with a non-nursing bachelor degree. This degree maximizes job opportunities in the healthcare industry. LPN to RN: A pathway specially designed for licensed practical nurses, who aspire to become a registered nurse. The curriculum of this track focuses on developing advanced expertise which entails professional growth. It takes 12 to 15 months to complete the curriculum. RN to BSN Program: This pathway offers a wide range of opportunities for working RNs, who wish to complete their bachelor degree. It equips nurses with profound knowledge of cultural, social and political issues that can affect healthcare industry. 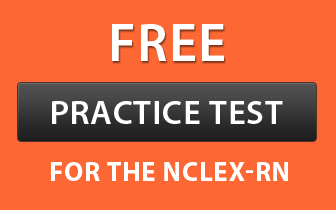 After successful completion of any of these courseworks, candidates are eligible to sit for the NCLEX-RN exam for the sake of obtaining licensure. Master of Science in Nursing: MSN degree is an inclusive program of two-years that prepares leaders for advanced practice roles such as certified nurse midwife, nurse practitioner, clinical nurse specialist, consultant, administrator, and educator. The curriculum involves advanced preparation in clinical judgment, research, theory, nursing practice, and leadership. Doctor of Nursing Practices (DNP): DNP is totally a practice-based degree designed for mid-career nurses, who aspire to become a healthcare leader. During this program, you will acquire organizational, management, clinical and leadership skills that are necessary for improving and transforming the healthcare outcomes. A list of accredited colleges in North Dakota is mentioned below with complete address, contact number, and official website.